Westminster School is a non-profit educational institution. As with all non-profit schools, philanthropic support is an important part of how Westminster meets its financial goals. Since its founding by the visionary Jane Goll in 1962, Westminster School has evolved steadily and grown to become the model of excellence it is today. 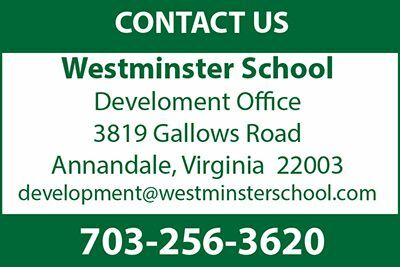 Among comparable independent schools in the area, Westminster provides an outstanding and unique elementary program (Pre K-8) for the lowest tuition. The high costs of maintaining and improving Westminster’s excellent program, and furthering plans for the future, require income beyond revenue from tuition. Your unrestricted donation to THE GRIFFIN FUND will help bridge the gap. This fund supports the day to day experiences in our students’ life. New textbooks, technology upgrades, field trips, reading resources, and faculty salaries are just a few examples of what your donation will support. For more than 50 years, giving and volunteering have been mainstays of Westminster’s philanthropic tradition. We are grateful to our loyal donors – current families, alumni, alumni parents, grandparents, trustees, faculty and staff, corporations, vendors and friends – for their financial support, and to our volunteers for contributing invaluable gifts of time, energy and talent to the school community.